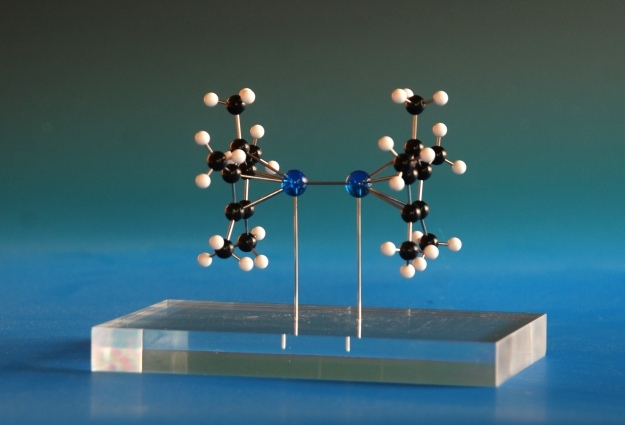 If you have completed months, or even years, synthesising and studying an inorganic complex, or if you have a guest speaker that you want to give something special to, what better way than with one of our inorganic molecular models? 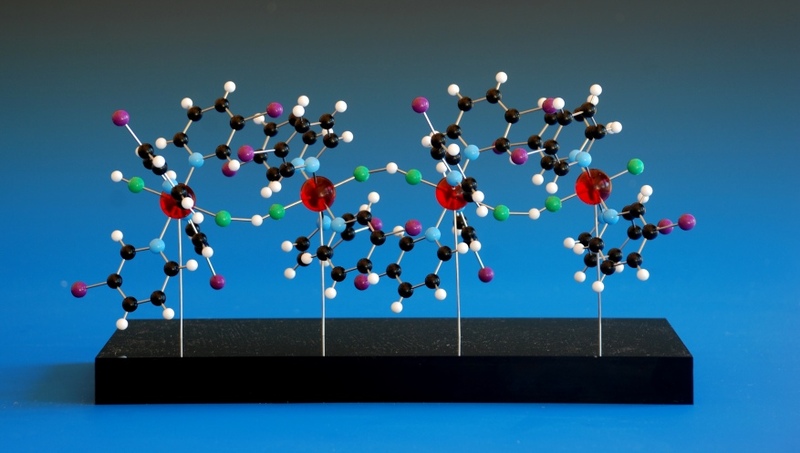 The models can, as show here, be mounted on a perspex base (clear, black, or any colour of your choosing), a wooden base, or stone base (granite, slate, limestone). 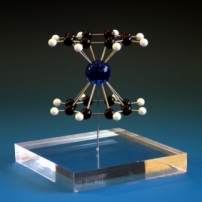 We can include larger balls to emphasise the metal atoms, add inscribed metal plaques to commemorate the occasion, and we can provide presentation boxes to present them with. All we require from you are the coordinates of the complex (cif, xyz, pdb, or any other common crystallographic file format), and a list of what you want in your model. Typically, you should allow two weeks for us to make up a relatively small, uncomplicated model, depending on our workload at the time, but we can turn models around in less time if necessary.